Are you looking for a cute, fun bunny game for kids? This FREE one page printable requires no prep and the kids will love it (plus sneak in some handwriting practice)! Bunny Hangman is quite simple to play. Print the freebie below. Player one has to think of a word. Cross out any boxes that you do not need. Player two has to guess the word before player one draws the bunny. If a player two picks a letter that is not in the word, draw a section of the bunny. Player one traces any letters that are guessed that are not in the word. 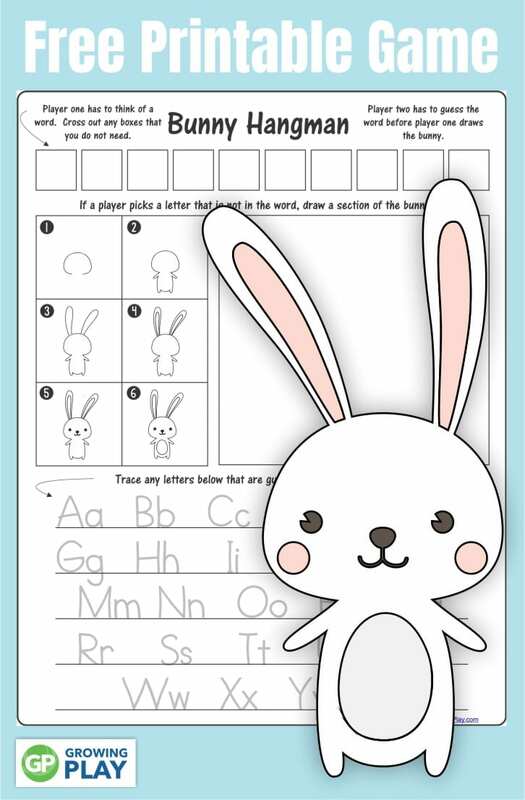 It is the same thing as hangman but instead of drawing a person you learn how to draw a cute bunny at the same time! 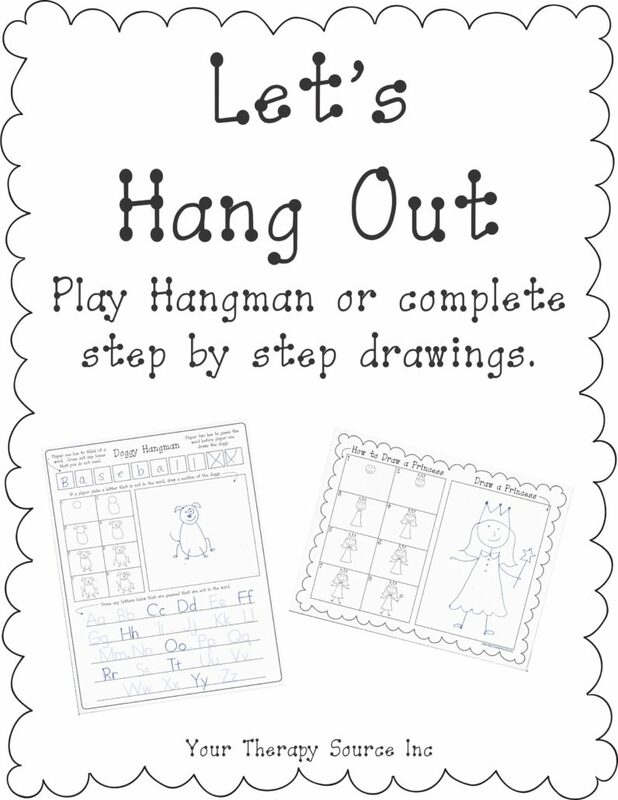 Let’s Hang Out – Learn to Draw Hangman is a digital download of 10 Hangman games with step by step drawing. Or try the step by step instructions to learn basic drawing skills. The packet includes step by step instructions to draw a doggy, kitty, monkey, cow, lion, butterfly, girl, boy, surfer and princess. Play Hangman and learn how to draw at the same time! 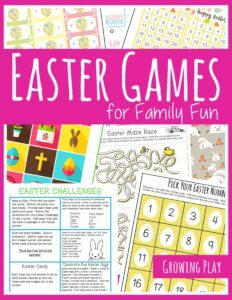 Perfect for early finishers, indoor recess, practice turn taking, or anytime kids unplug! 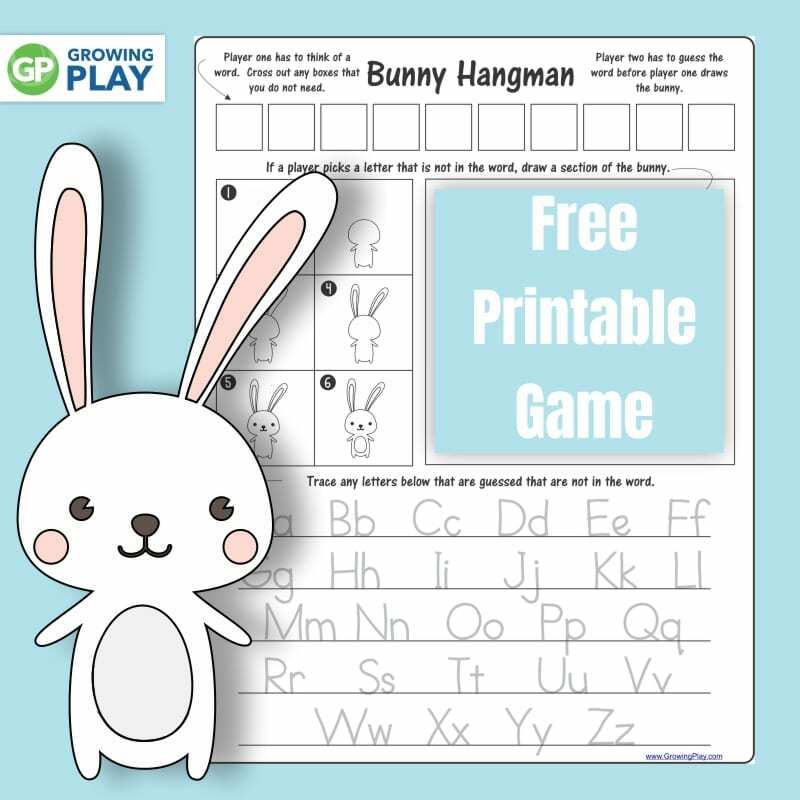 Download your FREE bunny hangman game here.